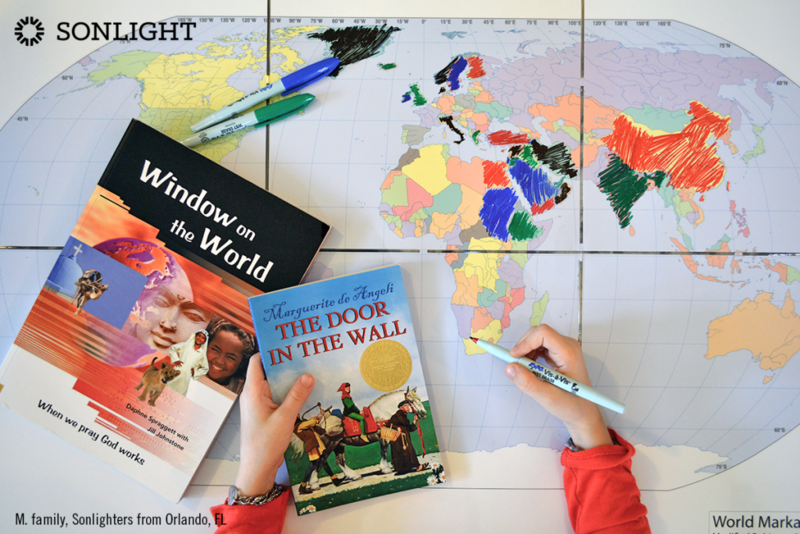 I read this article and wanted to share it with you: Seven Reasons to Homeschool from a Global Perspective https://blog.sonlight.com/global-perspective.html. 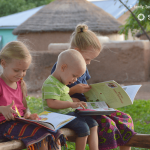 I was a missionary kid who lived in three countries on two continents by the time I was eight years old, so I’m probably biased when it comes to the idea of homeschooling from a global perspective. The way I was raised gave me such a heart for this whole beautiful kaleidoscope of a world in all its wonderfully diverse corners. 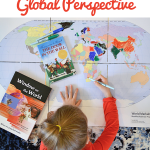 So a global perspective is really important to me, obviously, but I also think nurturing a global perspective in our children is really important as well—and an endeavor well worth our time. This may sound trite, but it’s true. The Psalmist marveled, “The earth is the Lord's, and everything in it, the world, and all who live in it.” (Psalm 24:1, NIV). The whole earth—from one sea to the next, from the vast steppes of Asia to the petite little islands dotting the emerald waters—the whole, big, beautiful earth is our Lord’s. And this verse isn’t just talking about geography, although we can stand in awe of his creation in that realm as well. But the Psalmist adds, “...and all who live in it.” All! Every single last person, from every culture, in every far-flung nation, everywhere. The more we learn about other cultures, the more our eyes are opened to the fact that our Americanized Western way, while more familiar to us, is not the only way. We needn’t fear that expanding our global worldview will cause us to promote moral relativism—a shift in absolute values of right and wrong. 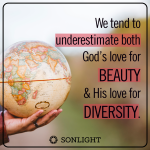 If we nurture a global perspective in light of the gospel, we can see many cultural differences for just what they are—cultural differences—and we can appreciate the diversity throughout our Father’s world. Certain things are just plain beautiful, wouldn’t you agree? God’s painted it across the skies, throughout the mountain canyons, down in the ocean depths, and He’s even sprinkled beauty across the darkest corners of outer space. The first book of Genesis tells us God, the creator of beauty, fashioned men and women in His own likeness. Look out at the incredibly varied palette He used to sculpt the sea of faces spread across this great globe. What a breathtaking reflection of the image of God! 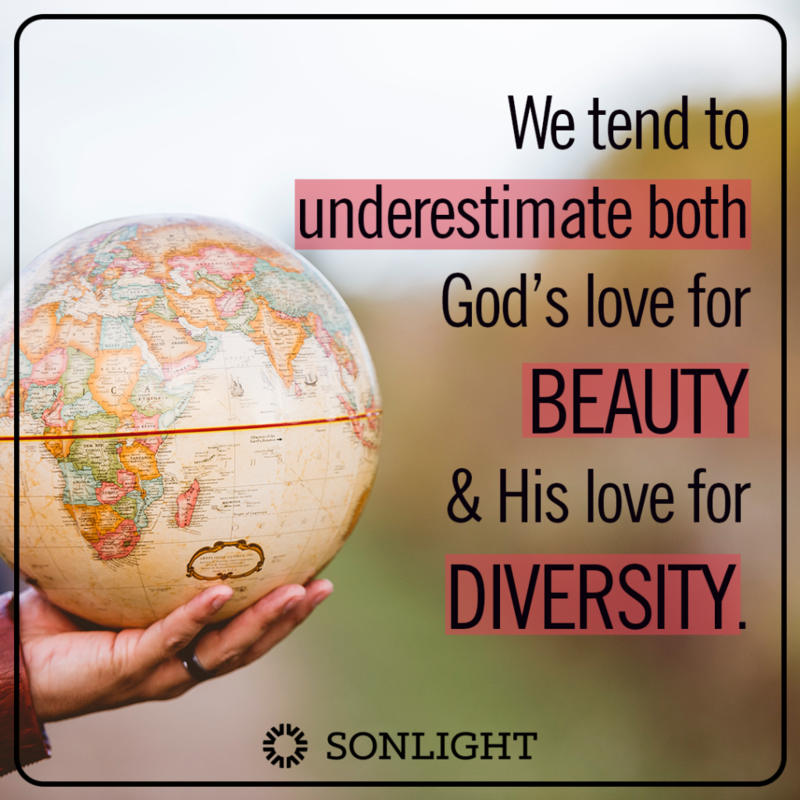 When we homeschool from a global perspective, we can make it a priority to savor God's beauty and love of diversity. 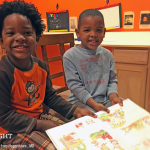 As parents, we must be sensitive to the ways in which the Holy Spirit leads our children individually. 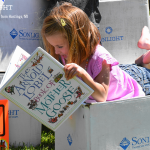 When our children express a softness to a particular culture, or ask to study a certain language we find obscure, we must be careful not to dismiss these wishes too hastily in the name of impracticality. God is bigger than our man-made obstacles of impracticality, and we must be particularly cautious as parents not to get in the way of God’s leading. We can have no way of knowing, now, if God will call them to a lifetime of service right here in their hometown or if He’s leading them halfway around the globe. But God knows! 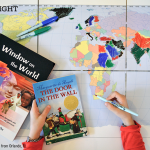 When we homeschool from a global perspective, our lives intertwine more and more with people from around the globe and our own cities, we often find that places and people groups are catching our ear on the news in ways they never did before. We begin to become more aware of news, and with it, our awareness of suffering, war, loss, hunger, and pain grows as well. Our hearts are softened, and our own trials dim in comparison. A global worldview loosens our grip on our own complaints and softens our hearts to the hardships of others. As Christians, should we not be among the most internationally-minded? Our Saviour is a middle-Eastern man who urged us to “Go into the world. Go everywhere and announce the Message of God’s good news to one and all.” (March 16:15, The Message). Jesus welcomed all—those with sworn allegiance to Rome, the men pouring over the Torah, outcast women and Samaritans—everyone. Isn’t that beautiful sight more than enough to convince us to keep our eyes internationally-minded here on earth as we homeschool from a global perspective? 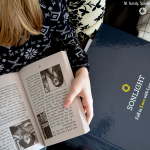 Choose a homeschool curriculum with a Christ-centered, global perspective integrated into its very fabric.Go to SmoothCourse and get started with Sonlight today.